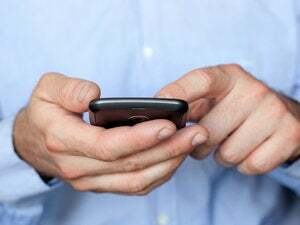 Skype International SA has commercially launched beta versions of two new premium services, with two more in the pipeline, as the Internet telephone company moves to generate revenue from voice over Internet Protocol technology. "We now offer customers the opportunity to purchase phone numbers so they can be reached by non-Skype users with ordinary fixed or mobile phones, and to sign up for a voicemail service," said Skype spokeswoman Kat James on Monday. "We are also planning a video conferencing service and another tailored for small and medium-size businesses in the near future. Adding new premium services to our free Skype-to-Skype offer is something we've planned from the start." Under the SkypeIn service, users can buy up to three numbers currently available in eight countries: Denmark, Finland, France, Hong Kong, Norway, Sweden, the U.K and the U.S. A three-month subscription costs $13 and a full year $39, the company announced Friday. While the main feature of the SkypeIn service is to allow non-Skype users to reach registered customers, there's another benefit: calls made to Skype phone numbers are billed at the normal long distance rate. Take, for instance, a call between Berlin and London. Even if the Skype user, who has a London number, takes the call while on a trip to Japan, the person calling still only pays the rate for a call between the two European capitals, according to James. The SkypeIn service complements the SkypeOut service, which allows Skype customers to call standard phones from their VOIP devices for a per-minute fee. The new voicemail offering is available as part of the SkypeIn subscription or can be purchased separately for about $7 for three months and $20 for a full year. In addition to a video conferencing service, Skype aims to launch an offering tailored to meet the needs of small and medium-size businesses in the coming months, according to James. The spokeswoman was unable to say, however, whether Skype would offer service level agreements and a fully managed network service, including telephone equipment, similar to the business offer announced by Colt Telecom Group PLC last week. "We're still working on the service so I can't say exactly what it will entail, but one feature will be group billing, instead of the individual billing that we currently offer our consumer customers," she said. Skype uses peer-to-peer technology to connect users to other users to talk and chat with friends. Skype was developed by the founders of Kazaa P-to-P technology, widely used to share music files. Sharman Networks the company behind the Kazaa file sharing software. More than 100 million copies of Skype software have been downloaded from the Internet. The company claims 35 million registered users.